Are you looking for a way to add interest to your Going Green unit? Do you need more activities for your learning stations? 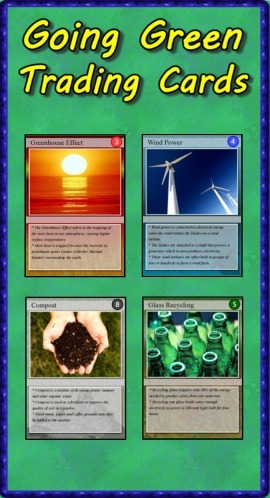 “Going Green Trading Cards” is a set of 54 trading cards highlighting energy sources, environmental concerns and recycling facts. Print & laminate the cards to create a standard set of playing cards. "Educational Trading Card Games" details 3 original learning games. "Creating Educational Trading Cards" shows teachers and students how to make their own cards. Beautiful pictures and great information! I love that they are also set up to be used as playing cards. 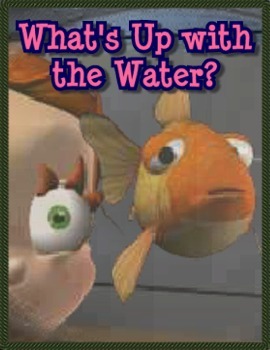 Something is wrong with Wonderville's water supply and it's up to you to determine the cause. Learn about water purification as we follow the flow of water from the river through the water treatment plant and into our homes as safe, clean drinking water. Learn about the water treatment process and take the appropriate actions to ensure the water is safe for consumption. 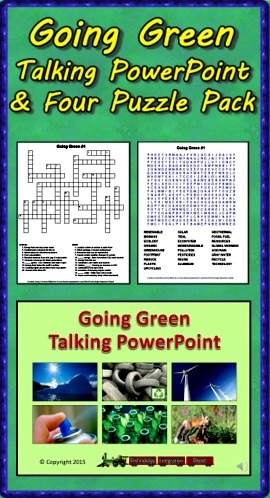 Turn down the lights and turn up the volume for the Going Green Talking PowerPoint! This slideshow highlights 48 energy sources, environmental concerns and recycling facts. Each slide is narrated so students can progress through the presentation in a computer lab setting. Ideal for introducing topics children can select for further study. Also included are two crossword puzzles and two word searches basic upon facts found in the presentation. Answer sheets are included.